If you were to see your parents posting this on Facebook, what would your reaction be? Some of you might feel baffled (“what is this? Give me back my cat videos”). Others might feel amused (“haha Dad, you’re such a troll”). Yet others might feel appalled (“I must dispel this myth, and free my family!”). My reaction was none of these, but closer to closure. The Flat Earth conspiracy had been years coming. As a child, I was raised Jehovah’s Witness, and taught at home. I have pleasant memories of home-schooling with Mum, including geography lessons with a Round Earth model. And I enjoyed reciting the books of the Bible, where other children may have recited nursery rhymes. But the Witnesses, and home-schooling, reveal a sense of distrust in the mainstream. As a Witness, you are a member of an elite few, proselytizing against the establishment’s disinformation campaigns, in a cosmic war for mindshare. As a Witness going from door to door, having your world-view rejected does not make you re-consider it; instead, the experience provides a welcome test of faith. As a Flat-Earther, having your theory rejected only re-confirms the Illuminati’s brainwashing campaign. Plausible grew implausible. Reading back through emails from Dad, I see the progression from MKULTRA (uncontroversial), to 9/11 inside jobs (reasonable motive), to anti-vaccination (unclear motive). Then around 2008, Dad gave me a book called Who Built The Moon?. Its conclusion is deliberately shocking: “One day humanity will have to go back in time 4.6 billion years to build Earth’s Moon!” Take a breath and read that again. The book’s argument is mostly numerological: the Moon is 400 times smaller than the Sun, and 400 times closer, and so it must have been designed. But the Moon’s dimensions show the designers used the metric system, so it must have been designed by us, and we must have gone back in time to make it! This could make for a great film. Just as Indiana Jones began with archaeology, and ended with higher-dimensional aliens, my Dad’s conspiracy theories began with the Pyramids and ended with artificial Moons from the future. It all sounds like parody, doesn’t it? If you actually followed my link to that Flat Earth video, you may have gotten the impression that the video is a parody of conspiracy theories. The video has no narration, only audio clips of Morpheus from The Matrix, a film in which the protagonist is trapped in a simulation. The argument instead plays out via textual slides, spun together with photoanimation and star wipes, closing with a quote from The Truman Show, a film in which the protagonist is trapped in a TV show. In the background, Hans Zimmer’s Time loops, a reference to Inception, a film where the protagonist is trapped in a dream. These pop film references complement the call to “wake up!” from a false reality. Surely serious conspiracy theorists don’t convey their arguments this way? But make no mistake: that video is not a parody, and those Flat-Earthers are not just trolling! In the family, I have the reputation as the hyper-rational nerd, so when I visit, I’ll be challenged with some pre-prepared evidence. 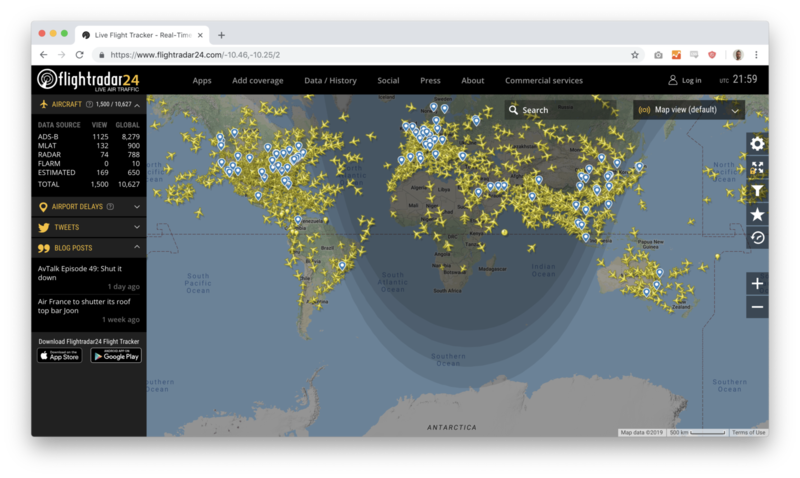 One of Mum’s favorites is flightradar24.com, a site which shows realtime flight paths. On a globe, the shortest route from Argentina to Australia is over Antarctica. So, why are there no flights over Antarctica? Yes, you could equivalently ask the Flat Earther, “why doesn’t the flight go over the North Pole?” Watching those Flat Earth videos, your reaction might be to join the argument, armed with a list of logical fallacies, a calendar of lunar eclipses, and your old GCSE triple science certificates. But I’ve tried all that, and it doesn’t work! My post today is not intended to be “reasons Flat Earth is false”. Such posts are easy, and plentiful. This post is just a field study; a description of my family’s beliefs and their history. Given what you know about my parents, how do you imagine their lives? You might be surprised. Both of my parents run successful businesses. They live in respectable houses, and host meals with respectable friends. They eat well. They travel for holidays, by plane, all over the Earth. You might wonder how one could lead such a normal life, while simultaneously believing in a Flat Earth and in Moons from the future. But you can do so in just the same way that I lead a normal life, while believing in a Round Earth. The grand ideas we all have about the world just don’t have much influence over the decisions we make in our daily lives. So if it doesn’t matter how the world is, what’s the point of being a conspiracy theorist? An under-acknowledged reason is that it’s fun! You get to do research, finally re-using your high school trig to calculate how far you should be able to see. You get to conduct experiments, buying laser thermometers to test whether the Moon gives off its own “cold light”. You get to participate in a global club, which now includes Dad, Mum, and both of my sisters. You get to surprise people with new ideas, challenging the person next to you on the plane to find the curvature of the horizon. And it’s fun for me, too. At your family dinners, instead of banal chat about holidays and food, wouldn’t you prefer interesting conversations about evolution and astronomy?